Since Curran joined Westpac in 2014, the CIO “has led a fundamental step change in advancing Westpac’s technology capabilities, helping us to continue to improve the customer experience while simultaneously improving productivity and risk management,” Westpac CEO Brian Hartzer said. Curran oversaw the roll out of the bank’s Customer Service Hub — one of the largest transformation projects in the bank’s history. In November the bank processed the first home loans through the hub, which is part of Westpac’s goal of a “one bank multi-brand operating model” across the group. 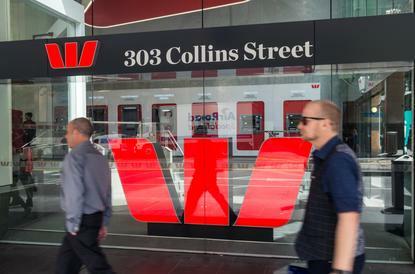 Curran in 2015 outlined Westpac’s vision for the hub: Enabling cross-channel conversations with the bank’s customers as well as delivering efficiencies by rationalising its application landscape. Earlier this year, the CIO said that the increased use of cloud services at Westpac — in the form of “hybrid-platform-as-a-service” — was helping slash costs. “Importantly, under Dave’s leadership, the stability and efficiency of our underlying technology infrastructure has been materially strengthened, which has reduced outages and improved cyber security,” Hartzer said. Curran has previously argued that an agile approach to delivery, less emphasis on hierarchical management structures and a culture of continuous learning are vital as enterprises grapple with the “digital revolution”. Westpac announced today that Curran will be replaced by Citi’s Global Consumer Bank chief technology officer, Craig Bright. The CEO said that Bright “has held divisional CIO roles in retail banking, business banking and investment banking and led complex global scale technology operations”. Bright joined Citigroup in late 2011, overseeing infrastructure globally for its consumer bank. Before that he was global head of infrastructure and service delivery with Barclays. He also previously held the CIO position at NAB’s investment bank as well as general manager for retail and business banking.